The season of JOY continues with JOYful Learning! If you're just stopping by for the first time, you can read JOYful Learning Part 1 here, and JOYful Learning Part 2 here. We are such visual beings: certain colors can change our mood, classroom space affects instruction and interactions between students (and teacher). 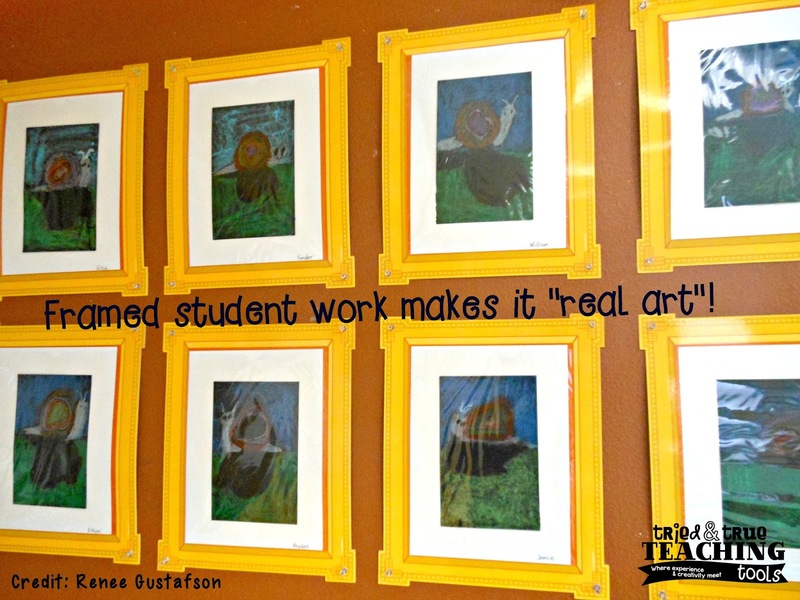 Student work should catch a visitor's eye, as they enter a classroom. What is posted on the walls and hanging around the room should scream: "Learning going on here!!" 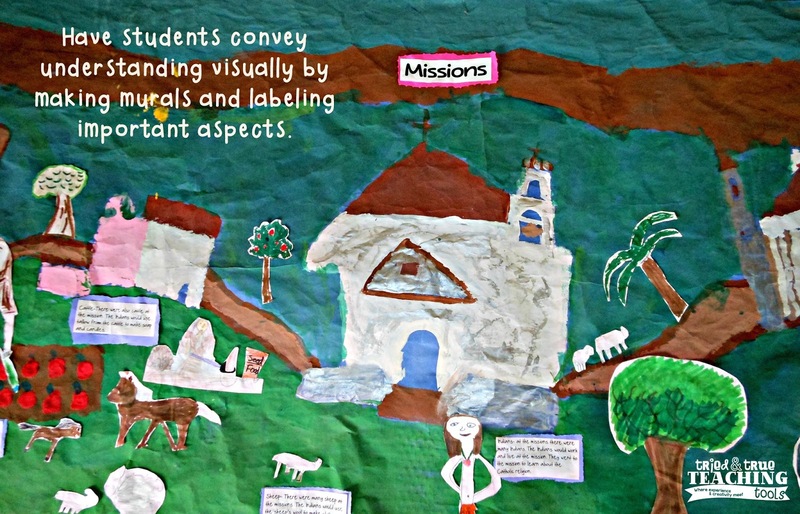 Student work, photos, and creations should be evident throughout the learning environment. Hallways and classrooms should be a joyous place to visit! Kids know they are valued when they see their best effort displayed for all to see. I used to feel badly if I didn't put something up from every student for every subject area. However, we talk so much about doing work with precision and what "our best" should look like, that now I only put up work that is evidence of students' BEST. And my kids are MOTIVATED to have their work displayed! 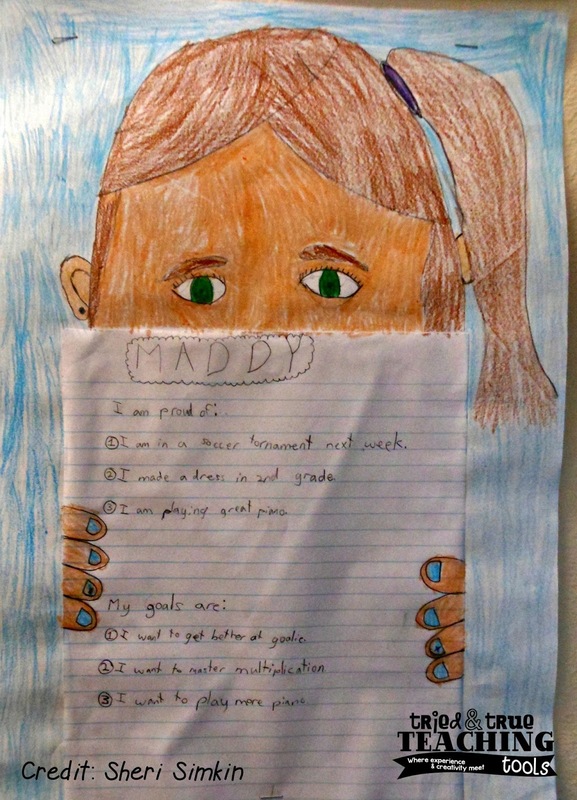 I love this example below of a student recognizing their strengths and setting goals to work towards! Inviting classrooms & schools improve student morale and make students (& staff!) happier to be there. 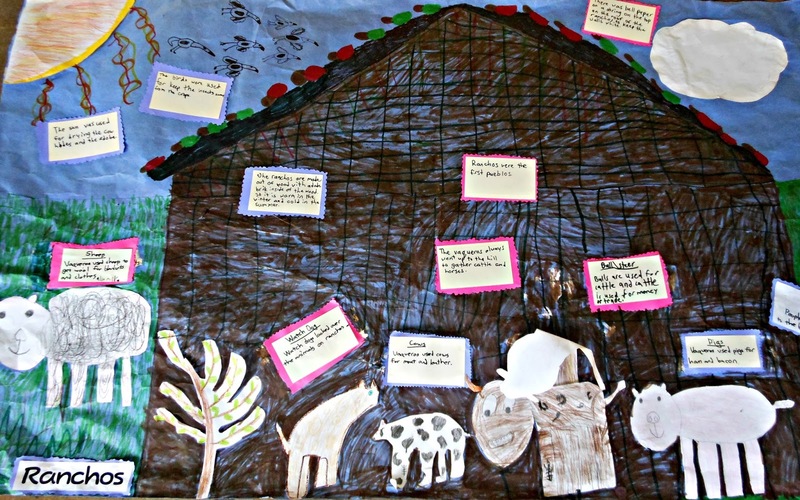 This requires having more on the walls than store-bought charts and butcher paper! As students help to create an inviting environment that supports positive interaction, it empowers them in the process. I love one of our school murals. Although it was sketched out by two of our wonderful artistic parents, EACH student in the school put their fingerprint on the mural & then turned it into part of the artwork: caterpillars, ladybugs, bumblebees, ants, etc. 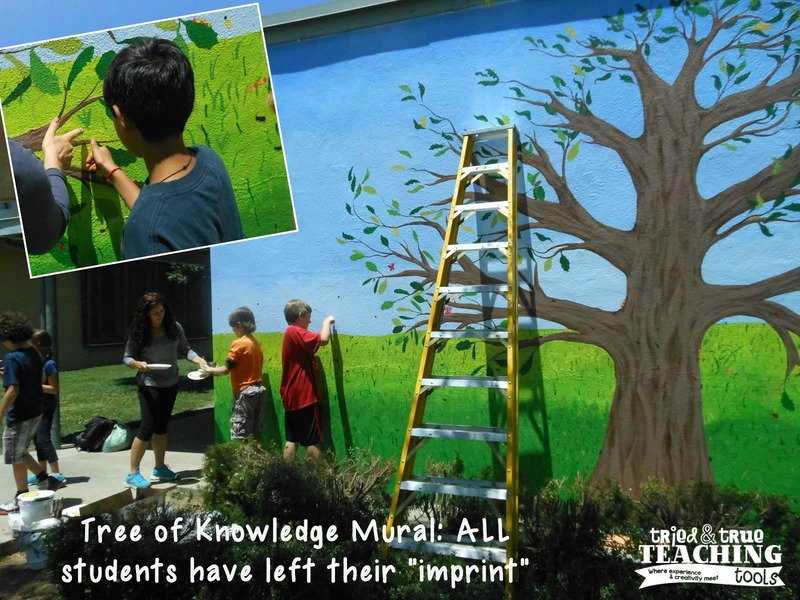 The beautiful Tree of Knowledge mural is the first thing you see as you walk into our school. You can't help but smile and stare at it! And even our older students STILL run to the mural to point out their contribution! Seating arrangements show the priorities within the classroom: is collaboration valued; are desks in rows or in groups? What do you value? I realized I had become old & jaded, when last summer it dawned on me that I hadn't changed my fadeless paper background (with little holes from staples and pushpins) on my bulletin boards for the last 3 years. (I mean, it was fadeless for a reason: the colors were still bright!!) 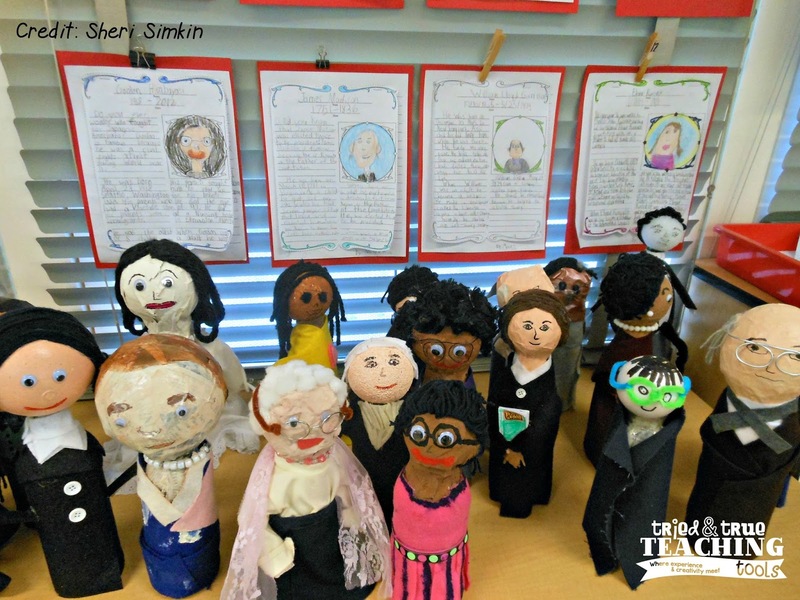 I turned up my nose at teachers who would spend so much time concerned with the color or theme of their classroom, thinking it was a silly non-priority. But as I looked around at my paint-chipped bookcases, my old bulletin boards, dirty rug, I realized in horror that my room had become shabby! So with only a week before school to begin, I ripped EVERYTHING off my walls & enlisted former students to help clean & paint the bookcases teal. I cleaned and dusted corners and walls and chose bright pink, teal, and purple bulletin board papers and borders. I couldn't believe what a difference these little changes made; whenever I walk into my room, I am so happy! Former students stopped by the first week of school and gasped, "Why is your room so pretty now? Why didn't you do this when we were in here?" Classrooms should be inviting, environments that make students feel good to be there. They are with us for 6 hours a day! 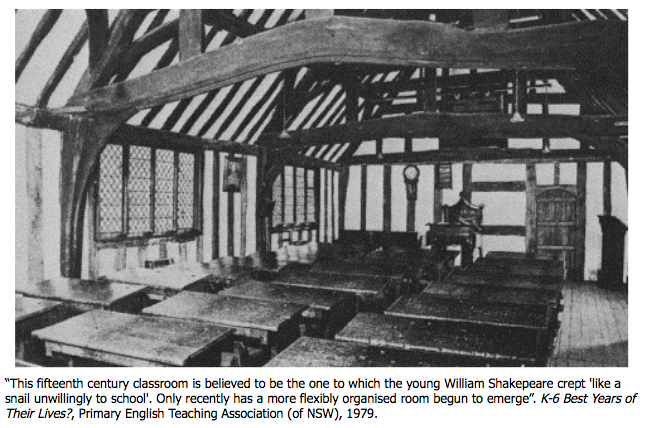 Room arrangement should encourage interaction and enables all students to see each other. Do you have a gathering place for read aloud, morning meeting, small group instruction, partner interactions, or an extra area for students to work independently? This is important if you place a high value on relationships between students, building community and creating an open environment. I love how my friend, Justine (former 1st grade student & fantastic teacher!! ), has an enormous tree at the edge of her library rug. 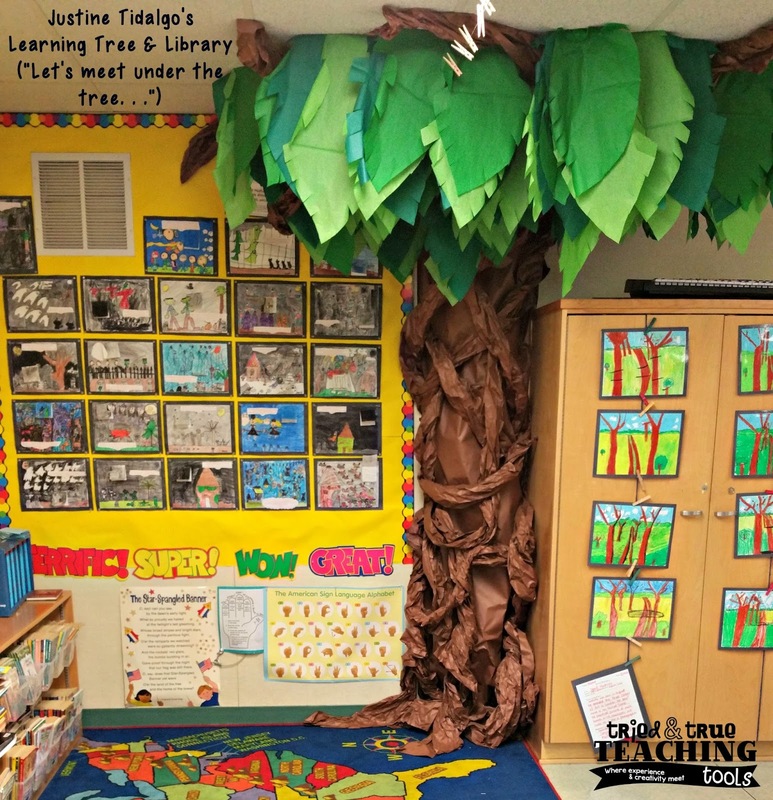 Instead of asking her second graders to come to the rug, she says, "Let's meet under the tree!" What a cozy and warm space! How do you make students feel valued and welcomed in your classroom? I'd love to hear your ideas! Woo hoo! Thanks for my 2 seconds of fame! Leave it up to me to send you a picture with a crooked picture hanging! Lol Also, I believe the Math Halloween stories hanging on the wall was one of your ideas (Meryl told me). Your room is always joyful and inviting for your students!! Didn't even notice the crooked picture! I want to see close-ups of the math stories!